Ibuprofen : You can buy it at any drug store, and it will help with that stabbing headache or sprained ankle. One of the ways it does so is by reducing inflammation, and it is this property that may also help patients with cystic fibrosis. Research has found that ibuprofen, when taken at high doses, helps slow the progression of lung function decline in people with cystic fibrosis, a disease caused by having two ‘bad’ copies of a gene that codes for a protein important in fluid secretion. Improved lung function is important, given that most people diagnosed die by their early 50s, usually due to chronic lung infections caused by their inability to move particles, including bacteria, up and out of the lungs. 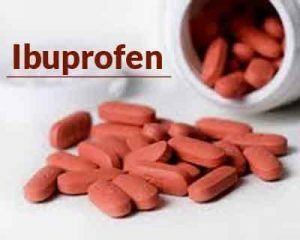 The downside is that ibuprofen doses that high, when taken routinely, can result in gastrointestinal (GI) bleeding and when combined with the antibiotics that these patients often have to take for their recurring lung infections acute kidney injury. “We feel that nano particle ibuprofen delivered by aerosol to the lungs would be a fantastic therapeutic,” Cannon said. And because it is essentially a re-purposed drug only the delivery method is different the development and regulatory approval process should be relatively easy, in comparison to the requirements for a novel therapeutic.